Mid Autumn Festival is a festivity in Chinese culture, celebrated on every 15th day of the 8th month in the lunar calendar. As it always coincides with autumn in China, the festival is named mid-autumn. It is also the time when the moon is supposedly at its brightest and roundest, thus it is also known as the Moon Festival and this year, that day falls on 19 September 2013 of the Gregorian calendar. You should also know that the mid autumn festival is closely related to a Chinese folklore about a hero named Hou Yi and his wife Chang E. If you're curious about the whole plot, click here (it's quite a nice pre-bedtime read). Mid Autumn Festival is such a big thing in East Asia (except in Japan and Korea, perhaps). 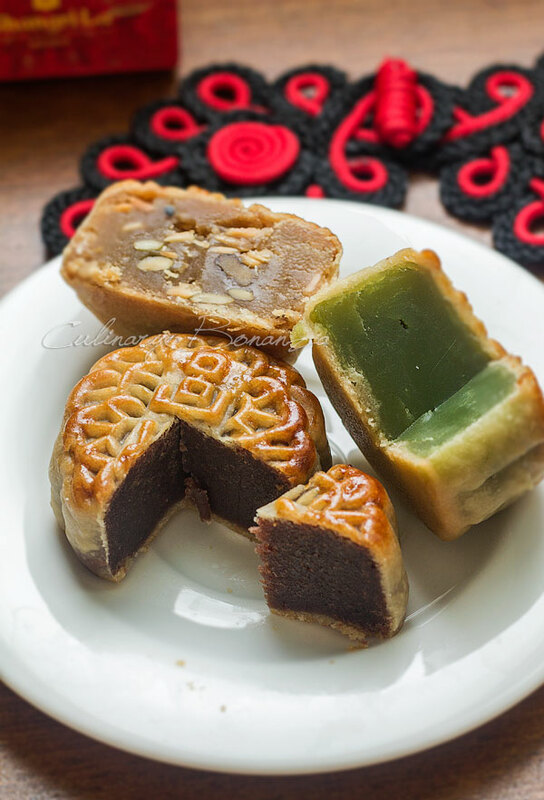 But in places like China, Taiwan, Hong Kong and Singapore, it is a widely-celebrated festivity, marked by the abundance of mooncakes at various retailers. It is a golden opportunity for businesses to cash in on the seasonal surge in demand for the sweet delicacy, which do not only come in the traditional flaky crust or pie crust version, but also 'hybrid' mooncakes like the snowskin, ice cream, durian filling and I've seen jelly mooncakes (not sure how it would taste, but I think this one deviated too much from the norm). The older generations would mostly prefer the traditional baked-skin mooncakes, while I personally prefer the snowskin types. 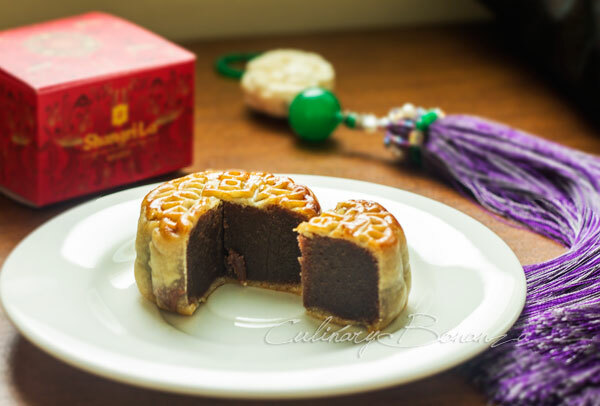 Unlike the snowskin which requires storage at cool temperature, the baked-skin mooncakes have longer shelf life, thus more practical and make better gifts. Back in Indonesia, Mid Autumn Festival is not as popular, but I do notice the increasing hype about the mooncakes, thanks to the five star hotels who advocate their mooncake promotions 2 months in advance of the date! This year, I was lucky to sample Shangri-La Jakarta's mooncakes. 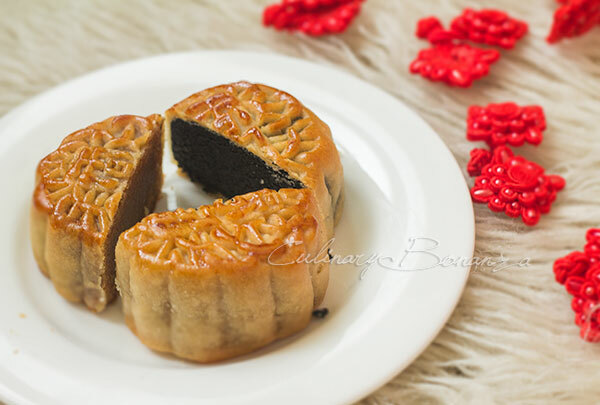 To be exact, the mooncakes are available at Shang Palace, which can be pre-ordered (certain transactions are eligible for discounts), purchased for take away and even for dine in right at the outlet. The pretty red box (red is good fortune according to Chinese belief), safely encased 6 individually packaged mini mooncakes which came in 6 different flavours: pandan, white lotus, red lotus, healthy five grains, red bean and black sesame. Of the six, I actually like pandan the most. Given the chance and choice, I would really love to try the mini snowskin durian and the greentea! Oooooh.. Mooncakes! I can eat a dozen of them in one go.. especially the snow skin ones. 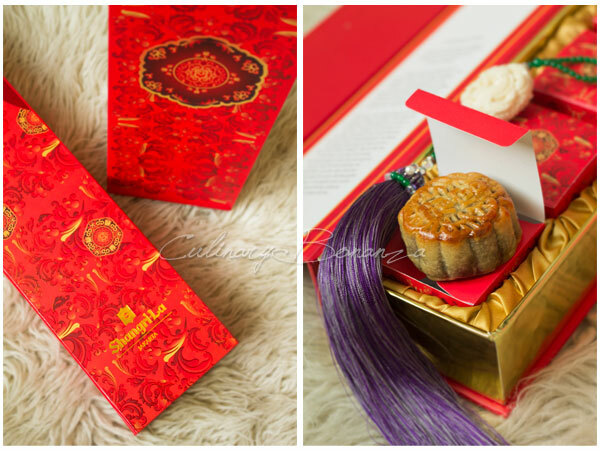 :) I'll ask my husband to buy some Shangri La mooncakes for me. The Cronuts Showdown, Who Does It Better?